Although make, model and price may be the first things you look at when you're considering buying a new or used car, don't forget to check out the safety ratings as well. One of the factors in a vehicle that makes it reliable is the type of engine it has. 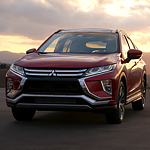 The 2018 Mitsubishi Eclipse cross has a very reliable engine that gives it a high grade performance. This goes well with the design of the vehicle for better handling and traction. The Mitsubishi Mirage features an available screen link that is associated with your smartphone. You can assess all of your wireless technology on a 6.5-inch touchscreen display. The holiday season has arrived, bringing Christmas cheer, long lines, and crowded parking lots. This time of year is stressful enough without the added hassle of maneuvering a massive SUV in and out of Albuquerque parking lots. Enter the Mitsubishi Outlander Sport. Starting at just $21,595 MSRP, the new Outlander is a perfect right size SUV that provides decent gas mileage and a safe, comfortable ride for everyone from tiny teens to towering Santas. The heated front seats and eight way fully adjustable driver’s seat means motorists of any type will have the ride of their lives. 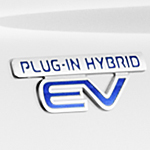 The available Rear Cross Traffic Alert system is equipped with the Eclipse Cross. This feature uses sensors to detect for vehicles that approach on either side of the SUV when you are backing up. 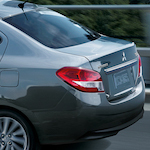 The Mitsubishi Mirage G4 is a popular compact sedan that offers the fuel economy of a compact with the comfort and style of a much larger vehicle. One look at the Mirage G4 and you’ll understand why it’s such a hot commodity today. 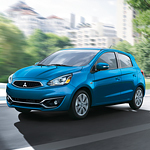 Stop at Mark Mitsubishi and take a look at the new Mitsubishi Mirage G4 and speak to our trained staff.